Domestic violence is an issue for the TLGBIQ communities. Domestic or relationship violence is a pattern of behavior where one person attempts to control another person who is close to them using power and control. This control can include physical, emotional, sexual, spiritual and/or economic abuse. If you are facing charges of domestic abuse, you will need the expert advice and assistance of a highly experienced Domestic Violence Attorneys in Michigan. Michigan has very strict domestic violence laws and you need to get help as soon as possible. What are examples of power and control tactics? Relationship violence in the TLGBIQ communities has unique concerns. There can be a fear that the abuser will “out” them causing difficulty and possible danger to them from people that are not supportive. There are also fears that the abused person some how “had it coming” or even enjoys it. There are issues of self-blame and doubt — had I been “normal” this never would have happened. Lastly, the abuser may say that a homophobic society will never believe the abused person. This is not an exclusive list by any means. But…..have you been threatened? Has “outing” you been threatened? Have you been kept from seeing family and friends? Have your telephone calls or text messages been monitored? Have you been forced to do a sexual act that you did not want to do? Have you been told you are not a “real” man or woman? If you have experienced any of these things you have likely been the victim of abuse. There are resources and agencies that can help. In many cases, a victim of domestic violence may desire to hire a private advocate who can help guide them through the legal process and help ensure their legal rights are protected. The Domestic Violence Attorneys in Michigan with LEWIS & DICKSTEIN, P.L.L.C. can help protect you and advocate for you when no one else can or will. If you are facing domestic violence charges what should you do? There is a need for domestic violence laws. However, they are subject to abuses too and false allegations run rampant. Often police will get called in the heat of an argument and parties regret having made that decision when tempers have cooled down. Once 911 is dialed, it is too late to take it back. If you have been arrested for domestic violence, the first thing you should do it not be embarrassed or afraid to contact a domestic abuse attorney. Michigan has a lot of attorneys that practice criminal law, who may be insensitive to the issues of TLGBIQ communities. The law firm of Lewis & Dickstein, P.L.L.C. is not among those. We are premier domestic abuse attorneys. Michigan is a very conservative state. It is important that you have attorneys understand the special issues a TLGBIQ person faces and can guide you every step of the way to a fair and just resolution. If necessary, we have access to psychological and medical experts that can assist in preparing the best possible defense available. It is important to Lewis & Dickstein, P.L.L.C. 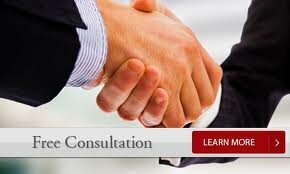 that our clients be given the very best representation available. Our Domestic Violence Attorneys in Michigan are open minded, cutting edge and well respected. Our firm has a reputation for success and is not afraid to win.